I went into my local Hastings store a couple of days ago and noticed that there was a sale on all of the 2014 calendars. I walked around and glanced over a few shelves full of various calendars. There were some with puppies, some with flowers, there was one with the Duck Dynasty gracing its pages, and of course a Justin Bieber calendar (by the way, my spell check knew how to spell his last name…just saying). I was about to give up on finding a calendar I deemed worth of my $2 plus tax, that’s what the sale price was, because I have already purchased a calendar for the year. Low and behold I came upon a crochet calendar. What?! Over a hundred patterns (at least that’s what the cover says) and other various crochet type words. I’m not really sure if I could think of 365 pages of good info. Oh, wait…I’m blogging about crochet so, OF COURSE I CAN COME UP WITH 365 DAYS OF GOOD CROCHET INFO! Yeah, um sure I can. 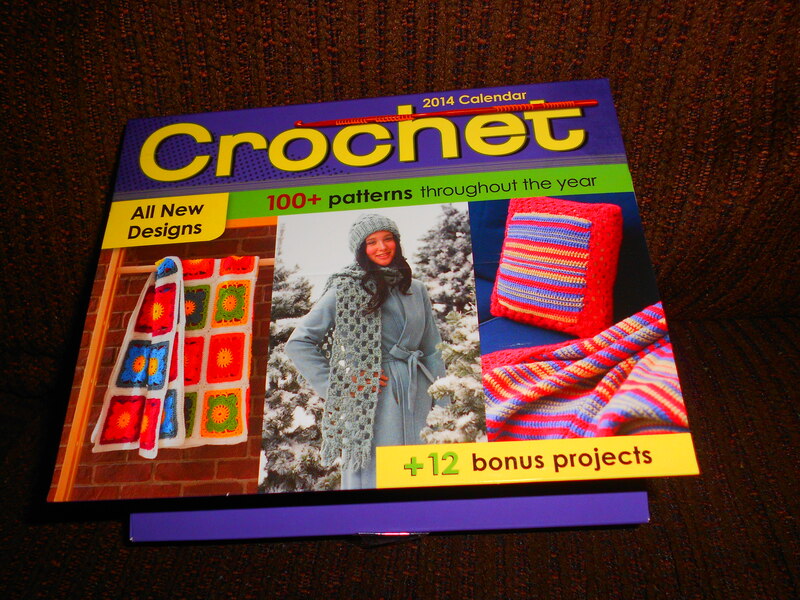 Anyway, I was super excited over my bargain of the week and thought I would share, so if you have a Hastings in your neighborhood or some other book store type place head over and see if you can find one of these crochet calendars, because it never hurts to have more patterns, or yarn. You can never have too much yarn.